A consistent focus on the recruitment of new members has resulted in significant membership growth in 2017. At the end of October, Federation celebrated reaching 60,000 financial school and TAFE members ensuring Federation remains a strong and powerful union. This milestone is significant because it has been more than 10 years since we have been above the 60,000 financial member mark. Federation has been growing strongly over the past couple of years, but this year there has been a significant spike in membership. Recruitment is everyone’s responsibility in schools and TAFE, not simply that of the Federation Representative. If there are new faces in your staffrooms, ask if they are members of Federation and assist them to join in the correct membership category, by completing and returning a membership form or joining online here. With enrolment growth in public schools, it is imperative we continue to recruit new members and promote the benefits of union membership in all workplaces. 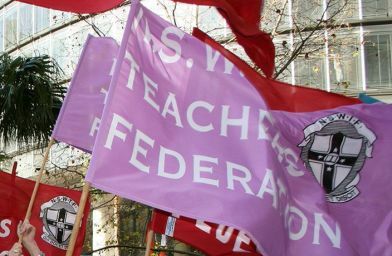 Federation Officers draw strength in the knowledge that when they are sitting down to negotiate with the Department of Education or TAFE NSW that there are more than 60,000 members standing behind them.